Welcome back, Tigers! We are in the home stretch of the semester and summer is right around the corner, which means the gym is going to be insanely crowded until the momentum from spring break fades away. While some of you were living life to the fullest in Panama City Beach I know for a fact that some of you were, like me, watching the Live from Spring Break reel on Snapchat while eating ice cream in your bed. No matter how you spent your break, there is one thing that almost all of us have in common – we were saddened by the series finale of “Glee.” No matter how much you try to convince me, I will not believe you if you say that you have never watched at least one episode. There was a point in time where all of us were interested, invested or a huge fan of the show. It doesn’t matter if you haven’t watched a single episode of the past two seasons, it probably made you somewhat sad to think that there will never be another sing-off between Rachel and Kurt or that we won’t see any of Mr. Schuester’s impeccable dance moves again. In its six-season run, “Glee” focused on several real, raw and honest situations that primarily hadn’t been covered before. The show has featured LGBTQ characters, a character with Down syndrome, eating disorders, teen pregnancy, death and the transgender Coach Beiste. “Glee” pushed the boundaries and was willing to go where no other TV show had gone before. It goes without saying that the sudden death of Cory Monteith made us all want to go and hug our loved ones, and the episode “The Quarterback” in Season 5 brought everyone in the room to tears because of the raw emotion behind it. I’m going to be candid and say that I was just as an emotional wreck watching the finale as I was watching “The Quarterback.” The finale did a brilliant job at giving the audience exactly what we needed without us even realizing it. It answered our questions, made us laugh at old moments and gave us one last look at the influence that both Cory Monteith and Finn Hudson had on so many people. “Glee” was a show that allowed almost everyone to see themselves portrayed positively in the media, it was a show that gave people hope and encouraged viewers to be as confident as Rachel Berry but showed us the side effects of being too much of a Sue Sylvester. 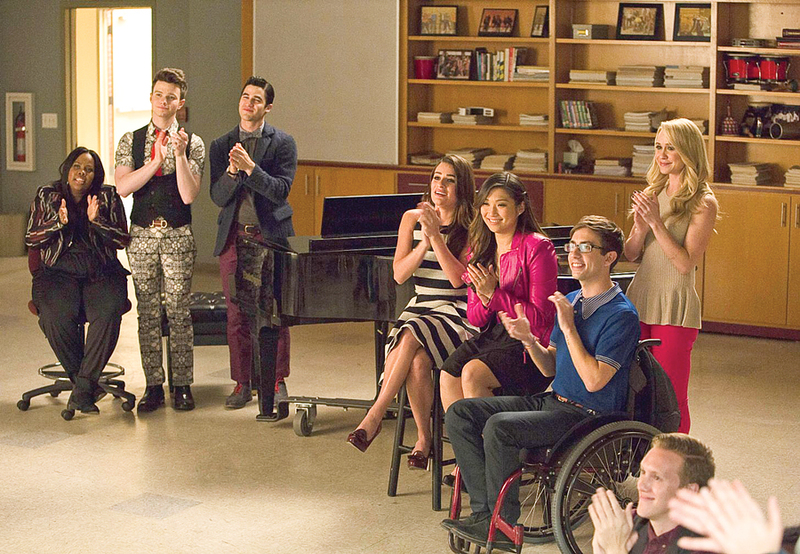 Although “Glee” has finished its 121 episodes, the lessons it taught us will live on forever.